Decorative Arts: Colonial furniture and interiors: XXXVI. 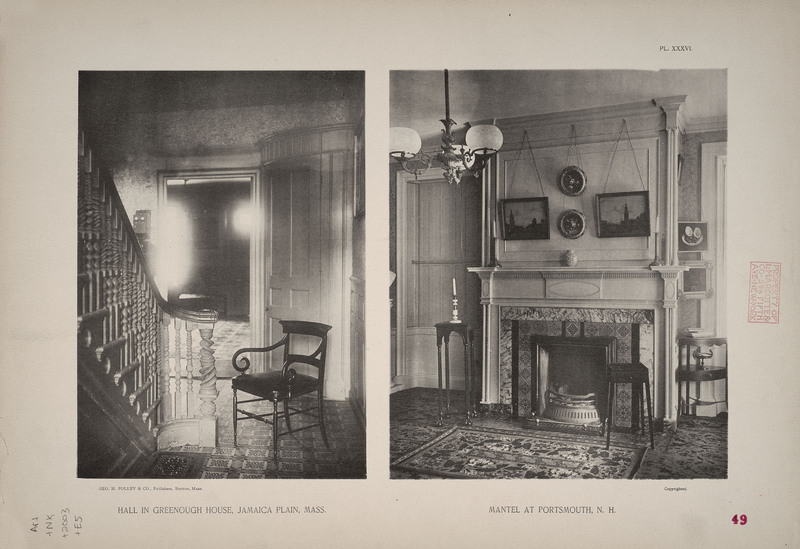 Hall in Greenough House, Jamaica Plain, Mass. [and] mantel at Portsmouth, N.H.